NEW GOLD DISCOVERY REPORTED BY IRELAND INC.
HENDERSON, Nevada – March 19, 2009 – Ireland Inc. (OTC BB: IRLD) (“Ireland”) (“the Company”), a minerals exploration and development company focused on the discovery and extraction of precious metals from mineral deposits in the Southwestern United States, today announced that results from its technical program have indicated that Ireland has a new gold discovery at its Columbus Project located in Esmeralda County, Nevada. Ireland has received results from an independent laboratory that was commissioned to complete a bulk leach test on 1,738 pounds of material extracted from the permitted mine area (Zone A) of Ireland’s Columbus Project. The bulk material assayed 0.055 ounces per ton (“opt”) gold (Au) and 0.520 opt silver (Ag). The leach test extracted 0.047 opt Au and 0.464 opt Ag into solution. The precious metals were then collected on resins and processed to produce Au and Ag bullion for a net extraction of 0.038 opt Au and 0.385 opt Ag. This represents leach extraction of 86.2% of Au into solution and 69.1% of Au recovered as metal. The overall extraction was 0.043 opt Au equivalent. Upon completion of the test, the precious metal beads were delivered to Ireland. The Company will commission further testing in order to optimize net metal recovery. Ireland has also received assay results from independent consultants McEwen Geological LLC of Arvada, Colorado (“McEwen”) from 7 contiguous holes drilled within a newly discovered mineralized area (Zone B). The drill samples were analyzed using a caustic fusion technique, and the results reported were from the extracted precious metals. The weight mean average grade for all the mineralized intercepts was 0.045 opt Au equivalent (see table below). The weight mean average grade for a potential surface mine area (0-100 feet) was 0.043 opt Au equivalent. The material from the surface to at least 100 feet is easily minable at low cost using the dredge-type mining method currently employed at Ireland’s 270-acre mine site (Zone A) three miles to the north. Assay results from 7 additional holes drilled in Zone B have not yet been returned. Ireland will disclose the results from the additional 7 holes once those results have been returned and analyzed. 1 Mineralized Intervals were determined using a 0.020 opt Au equivalent cut-off. The extent of the Zone B mineralization has yet to be determined by further drill sample analysis. To confirm the drill results, Ireland will conduct additional bulk sample tests in both Zone A and Zone B. Current drill results, together with geological modeling by McEwen, have outlined an area approximately ½ mile wide by 1-7/8 miles long in Zone B that hosts approximately 68 million (MM) tons of potentially minable material within 100 feet of the surface. Potential tonnages outlined to date are listed below. Additional exploration work will be required before proved or probable reserves can be established. The Columbus Project consists of 19,680 acres of placer mineral claims, of which 380 acres are permitted for production (60-acre mill site and mill facility, 270-acre mine site, and 50-acre road access). Ireland also has the option to acquire an additional 22,640 acres of placer mineral claims adjoining the current project area. The Company is currently permitted to mine in Zone A (792,000 tons per year to 40 feet depth) for the purpose of extracting precious metals and calcium carbonate. Ireland, to date, has discovered two mineralized zones on the Columbus Project: Zone A encompasses the northern mineralized area, which includes the 380-acre permitted mine/mill area and an adjoining mineralized target to the south; and Zone B encompasses a mineralized zone, discovered by the drill program detailed above, which is located 3 miles south of the permitted production area. Ireland’s technical program at the Columbus Project has two primary objectives: (a) to prove mineral resources/mineable reserves, and (b) to determine the commercial feasibility of mining and extracting precious metals from these resources/reserves. “The objective of the drilling and pilot testing program is to determine the three-dimensional extent and economic potential of the gold/silver mineralization within Zones A and B, which had been previously identified during Ireland’s surface sampling and geotechnical program,” noted Mr. Birnie. An earlier study, by independent consultants SRK Consulting, on the permitted mine area, reported 8.8 million tons of minable material for calcium carbonate production to a depth of 25 feet for the 270-acre mine site. In 2007 independent consultants Arrakis Inc. of Denver, Colorado (“Arrakis”) completed an 18-hole drill program that reported gold/silver mineralization to depths of 100 feet within the same mine area. A total of 154 samples were collected and analyzed from the 18 holes, totaling 1,560 feet of drilling. The average grade in the samples approximated 0.07 ounces per ton Au. Samples were collected under chain-of-custody (“COC”) and analyzed using acid microwave digestion and graphite furnace atomic absorption. The bulk sample results reported herein came from this area. In 2008, McEwen completed another drill program for Ireland consisting of 39 holes drilled to depths ranging from 200 feet to 400 feet below the surface. A total of 25 holes were drilled in Zone A and 14 holes in Zone B. The program was designed to test mineralized targets identified by Ireland’s previous exploration work. Over 1,000 samples were collected under COC standards and delivered for testing and analysis to Arrakis and independent consultants AuRIC Metallurgical Laboratories of Salt Lake City, Utah (“AuRIC”). In the fourth quarter of 2008, Arrakis completed construction and commenced pilot plant operations at Ireland’s production facility located in Zone A. The purpose of this pilot plant test work is to determine the commercial viability of mining and extracting precious metals from the mineralized zones on the project. Arrakis has installed and commenced operation of a dredge mining unit, which allows material to be mined and handled as a slurry throughout the production process. This has proved very successful and is the preferred method of mining because of its low cost per ton of material mined. Operations at the pilot production facility have included the testing of various pieces of traditional equipment designed to make a gravity concentrate containing higher grades of precious metals. Adjustments continue to be made to the processing circuit in order to optimize precious metals recovery and determine the economics of this process. Bench and bulk leach tests are being conducted at off-site facilities. 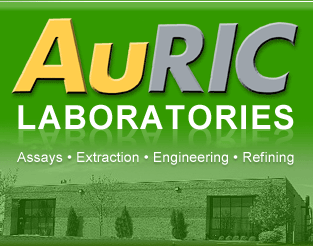 An independent laboratory commissioned by Ireland, AuRIC, conducted a bulk leach test on 1,738 pounds of materials that were collected by Arrakis under COC from the Zone A mine site. 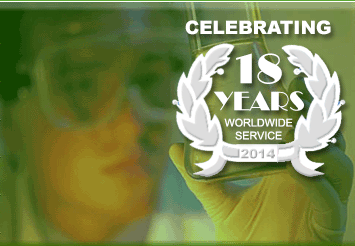 No mineral processing operations such as crushing, grinding, drying or screening were performed on the sample. The material was analyzed using a caustic fusion technique and reported head grades of 0.055 opt gold (Au) and 0.520 opt silver (Ag). The material was then leached and resulted in the extraction of 0.047 opt Au and 0.464 opt Ag into solution. The precious metals were then collected on resins and processed to produce Au and Ag bullion for a net extraction of 0.038 opt Au and 0.385 opt Ag. This represents leach extraction of 86.2% of Au into solution and 69.1% of Au recovered as metal. The overall extraction was 0.043 opt Au equivalent value. Completion of the 1,738-pound bulk test by an independent laboratory represents a significant milestone that is indicative of a potential extraction process with commercial economic viability. “With our expanded production permits in hand, concentration testing underway at our onsite pilot production facility, and encouraging results from the bulk leach tests, we believe that upon completion of the pre-feasibility program, Ireland can move swiftly to certify the production process and complete full project feasibility,” concluded Mr. Birnie. Ireland Inc. (IRLD) (“Ireland”) is a minerals exploration and development company that is focused on the discovery and extraction of precious metals from mineral deposits in the Southwestern United States. In 2007, Ireland acquired rights to two mining properties, both of which are prospective for gold and other minerals. In early 2008, Ireland completed the acquisition of the Columbus Project located near Tonopah, NV, where it has an option to acquire an additional 22,640 acres of adjacent mineral claims. Ireland also owns rights to acquire up to 100% of the Red Mountain Project in San Bernardino County, California. Ireland Inc. is headquartered in Henderson, Nevada, and its common stock trades on the OTC Bulletin Board under the symbol “IRLD”. This document may include statements that constitute “forward-looking” statements, usually containing the words “believe”, “estimate”, “project”, “expect”, or similar expressions. Forward-looking statements inherently involve risks and uncertainties that could cause actual results to differ materially from the forward-looking statements. Factors that could cause or contribute to such differences include, but are not limited to, Ireland’s limited operating history, future trends in mineral prices, the availability of capital, geological or mechanical difficulties affecting Ireland’s planned geological work programs, uncertainties surrounding estimates of mineralized material and other There is no assurance that the test results reported in this document are indicative of extraction rates throughout the Columbus Project. Additional exploration work is required before proved or probable mineral reserves can be established. There is no assurance that the results of Ireland’s pre-feasibility program will result in a decision to enter into commercial production. Ireland undertakes no obligation to update the forward looking statements in this document.